Success Stories: Solid Electrolyte Lithium Ion Batteries - Seeo, Inc.
With sky rocketing gasoline prices and exploding laptops, there could not have been a better time for a new rechargeable battery breakthrough. Enter Lawrence Berkeley National Laboratory’s (LBNL) nanostructured polymer electrolyte (NPE). NPE is a solid electrolyte designed for use in rechargeable lithium batteries. The unique material was developed by LBNL researchers Nitash Balsara, Hany Eitouni, Enrique Gomez, and Mohit Singh and licensed to startup company Seeo Inc. in 2007. With solid financial backing from Khosla Ventures, located in Menlo Park, California, and an impressive scientific team recruited from LBNL, University of California, Berkeley, and the battery industry, Seeo is now developing a completely solid-state rechargeable Li battery with the potential to overcome the energy density – or energy storage capacity - limitations and improve the safety and lifetime of rechargeable batteries. These batteries could be employed in electric and hybrid vehicles, cell phones, laptops, and medical devices, among other applications. Solid-state batteries containing Berkeley Lab’s NPE would introduce a radically new architecture with the potential to enable electric battery-driven transportation technology. LBNL’s NPE exhibits high ionic conductivity and can be engineered to be mechanically rigid enough to resist the growth of dendrites, which cause batteries to short and sometimes explode. NPE-based batteries are inherently safe because they lack the reactive and flammable organic liquid electrolytes of conventional lithium ion batteries. The safety of the new NPE may enable the use of a lithium metal anode in place of a traditional lithium ion anode, which would significantly enhance the energy density of the battery. Another advantage of LBNL’s NPE is that it can readily be incorporated into casting and roll-to-roll processing methodologies already used in current lithium battery manufacturing. Solid-state lithium ion batteries made possible by LBNL’s NPE are expected to meet the energy density goal established by the Department of Energy for electric vehicles – the highest hurdle for battery technology. In addition, predictions based on recent tests indicate that Seeo batteries will achieve the United States Advanced Batttery Consortium (USABC) goal of 5,000 cycles. Vehicles that can be powered from the electric grid will be a crucial component of society as we move toward providing increasing quantities of mobile energy while reducing greenhouse gas emissions. The combination of LBNL’s nanostructured polymer electrolyte, and Seeo’s all-star scientific, financial, and business team may be our best chance yet of overcoming the major barriers to achieving this long-elusive goal. Transmission electron microscope images of a pure polystyrene poly(ethylene oxide) block copolymer (SEO). In Figure 1a and 1d, lamellar structures – lengthwise channels along which ions can travel – are visible. 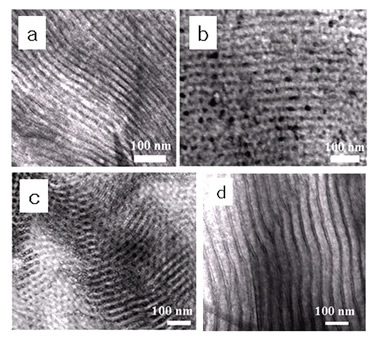 Figures 1b and 1c display SEO with hexagonally perforated lamellar structures. 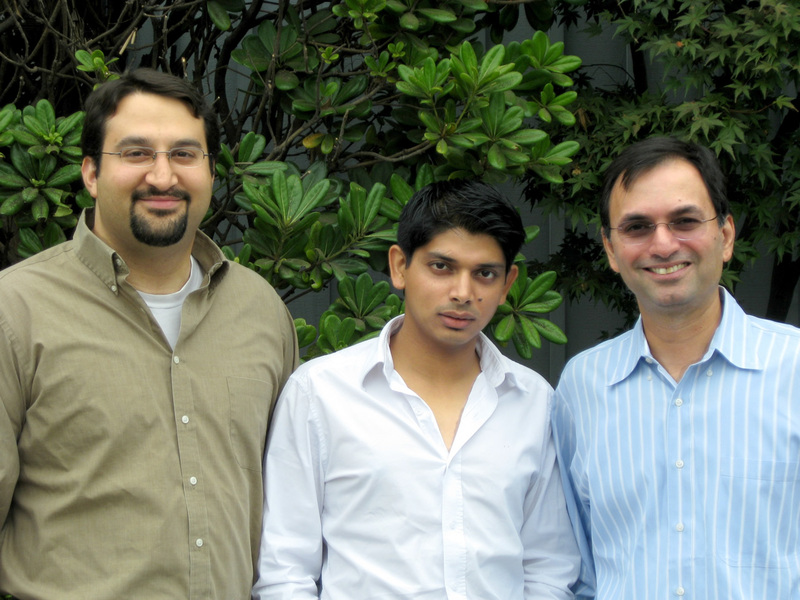 Berkeley Lab’s NPE Team from left to right: Hany Eitouni, Mohit Singh, and Nitash Balsara.